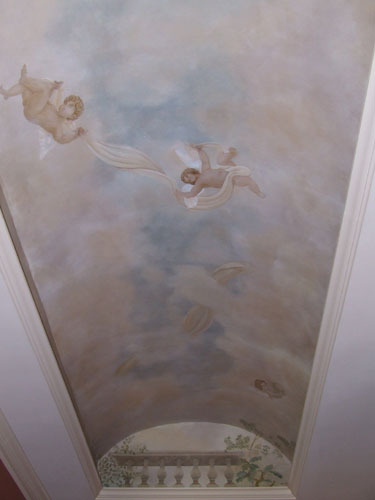 I truly love the ceiling with the Cherubs. 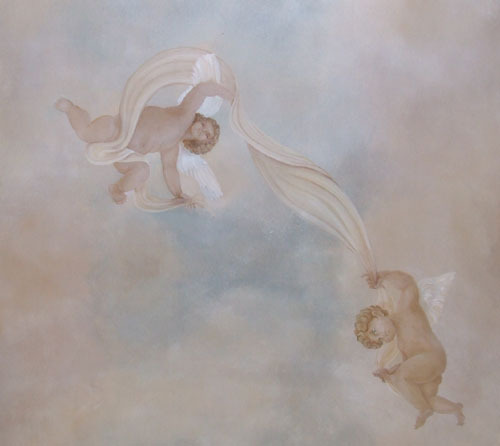 I was looking for a print that depicts Cherubs as soft, innocent and heavenly as you do yours. The soft hues are relaxing. I am located in Idaho and was trying to find the right art to give to my mom for her birthday. Would it be possible to purchase a simple photograph of the square picture of cherubs onyour website that I could have framed? My phone is 208-602-6568. I would be so happy if this was possible. I was looking for something by Jan. 30th. How much do you think it would be if you could do it? Thank you for entertaining the question.